Canada is considered to be the best country in terms of immigration and as Canada is ranked number one in quality of life. Also there are a lot of rights and privileges citizenship served in Canada to immigrants. Canada is one of best place to live and raise kids. It is considered to be a great place to study and work also. Thus a huge number of individuals want Canadian permanent resident visa all over the world. If one of parents of an individual is a Canadian citizen, then they can easily obtain their citizenship certificate. Most of the immigrants want to live in Canada as permanent resident of Canada. The most commonly used path for immigration to Canada is Permanent residency programs. There are two steps to get Canadian citizenship in this process. First get permanent resident card and second is, satisfy some residency requirement by Canadian government to become eligible for the application of citizenship. If you want to apply for Canadian permanent resident visa you must satisfy the eligibility criteria of Canada’s permanent residency programs depends under which program you are applying. Every program is different in eligibility criteria from other programs. These eligibility criteria can be related to candidate’s age, education, language, work experience that can be different for different Permanent residency programs. Once you get permanent residency in Canada and if you wish to convert that in Canadian citizenship then you need to fulfill some conditions again. There are some residency requirements for getting Canadian citizenship. If you are living in Canada as a permanent resident, then in order to get Canadian citizenship you must be living in Canada since 3 years out of 5 years as a permanent resident in Canada. For some individuals who have obligations and responsibilities that involve them being outside of Canada is very difficult to get Canadian citizenship. However, the above situation is not applicable for the individual who is fortunate to have at least one Canadian parent. 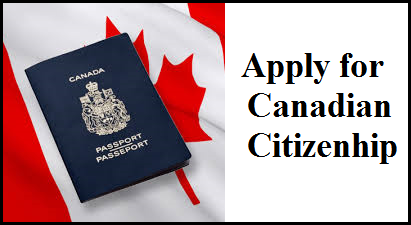 These individual need to fill application named “PROOF OF CITIZENSHIP” to obtain Canadian citizenship.In many cases, such individuals are already considered as Canadian citizen because of their parent’s nationality. This application process provides a way to get benefits of Canadian citizenship easily.If you have at least Canadian parent then it’s not necessary that you will be qualified to apply for proof of citizenship. Individual and his or her parent must meet the eligibility in order to qualify for proof of citizenship. Countrywide Visas is an immigration agency that specializes in Canada PR Visa. It is registered with Ministry of Corporate Affairs. Our team has some excellent record with an acquisition of the same for our clients. These days Canada is one of the most lucrative destinations in terms of Job and lifestyle. People prefer to immigrate to Canada and enjoy a better pay and standard of living as the country offers all of these with great ease. To get more information about Canada Permanent Residency Visa you can directly contact to us over the call by ringing us at 011-41075840 / 011-41045840 or by leaving a mail on our email id at info@countrywidevisas.com.